I return from our summer travels to a garden invaded by tough shoots of invasive grass as the surrounding lawn tries to take over. I walk down a street with sweeping square metres of berms planted with grass. Many animals eat grass, but of course they're not allowed here in the city suburbs, and mowing them has become a notable problem. So what is it with the grass fetish? This comedy grass discussion with God highlights the insanity: GOD: "Now, let me get this straight. They fertilize grass so it will grow. And when it does grow, they cut it off and pay to throw it away?" And much more. The lawn as we know it today developed in Europe - then, as now, a quirk for people with enough money to maintain a purely decorative (nonproductive) stretch of land, with human labour. And apparently, we can also blame the Scots and golf! 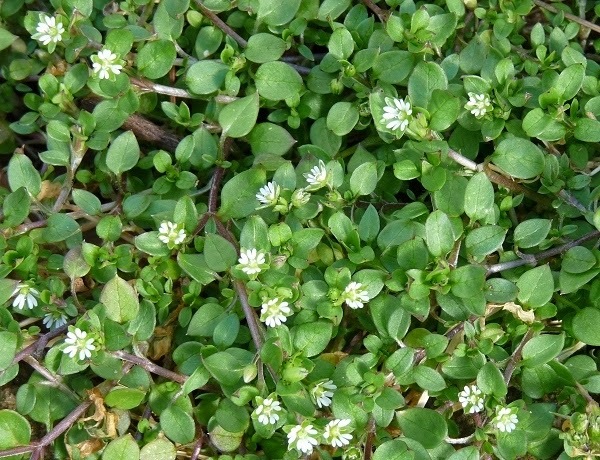 It is common to poison dandelions, chickweed, and other "weeds" in the pursuit of a smooth homogeneous expanse of non-edible grass, regardless of the potential risk from the poisons. You can't eat grass. But other dark green leafies are some of the most nutritious edibles around. The produce section of the supermarket is happy to sell you bunches of kale for your dinner. Garden centres carry out a thriving trade in salad green shoots of all varieties (to plant in dedicated gardens, not lawns, of course). Kale is great (I have some in the garden), but those free pesky dandelion greens from the lawn compare very well with kale. Sure, dandelions have less vitamin C, but they have more iron, etc. And they grow even when you don't want them to! And if you aren't convinced yet, in the supermarkets you can also buy bags of expensive mesclun salad...which will probably include dandelion greens. There are many alternatives to the traditional grass lawn. But even if you're not ready to dig it out and start again, next time you see a dandelion in your lovely lawn, go get some leaves instead of the weedkiller. 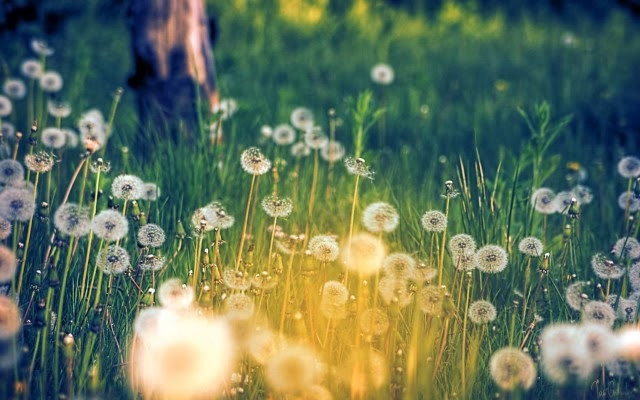 And when you see a fluffy dandelion head, remember your childhood, make a wish, and blow. Oh yes. I've been anti-lawn for twenty plus years but am guilty of not ripping it out for better and more indigenous alternatives. As you said so many naturals and easy growers such as dandelions are very healthy along with purslane and others. It's snowing hard right now where I live and our growing season up north is very short. Not to mention age, physical restraints all offer up excuses for us not to get rid of our lawn. Glad you addressed this. So many people forget about the high cost of lawns, ranging from water (this is a big one) to pesticides (really bad). Since we believe in water conservation and non chemical lifestyle, this isn't an issue for us, but we wish Las Vegas and high profile suburbians would pay better attention to the anti-environmental impact of lawns.